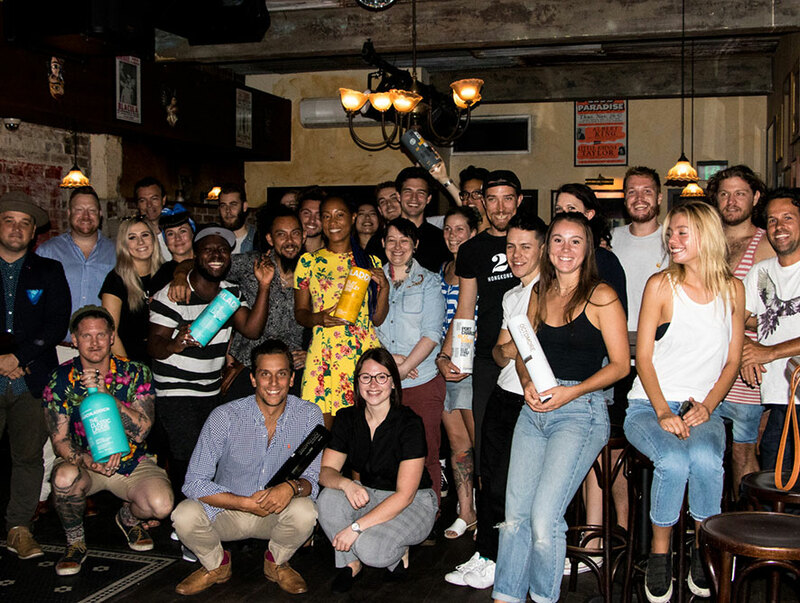 Chloe Wood, Regional Brand Ambassador for Bruichladdich recently visited Australian shores to share her in-depth knowledge and passion of Bruichladdich with our locals. Chloe quickly developed a passion for whisky even before she was old enough to drink it. Her association with whisky started when her dad was involved in leading the construction of buildings on site including the Bruichladdich warehouse. Her link developed further when their farm, Octofad started to dry all the Islay barley on site. So, even though she might not initially had a direct connection with drinking the whisky, she had a passion for everything that goes into making it. “At Bruichladdich, everyone who works there is passionate, so it’s what you become very quickly. You see things in a more holistic way. When you taste the whisky your appreciation for the whisky is a lot a higher” explains Chloe. For Chloe it was the whisky making process that really fascinated her. Understanding what makes whisky different excited her and tasting it from the barrel was an extremely unique and rare experience. She got to learn from Jim McEwan (Master Distiller) and Duncan McGillivray (GM at The Bruichladdich Distillery) which she recognised was a real privilege. One of her most memorable moments was tasting the whisky straight from the cask within the first week of her starting work at the distillery. 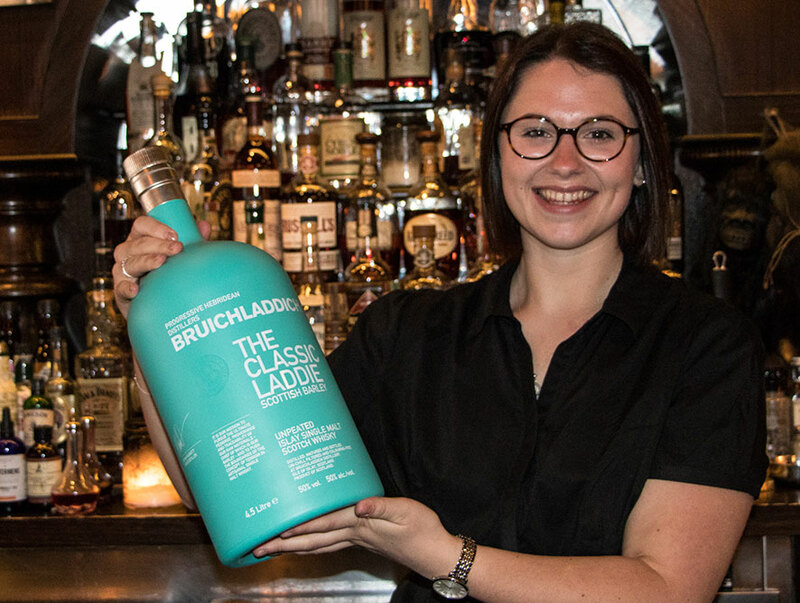 “At Bruichladdich they really focus on teaching you about the products and the process and naturally learning about the process made me appreciate what I was drinking even more.” Chloe recalls. Chloe learned a lot about the process and making of whisky from starting out as a tour guide at the Distillery where she had to deal with people from beginner to expertise level knowledge of whisky, so she was teaching and learning at the same time, all the time. She had to tailor-make the tours to suit each specific audience. She later led the brand academy which involved customising internal training courses for members of staff. Everyone working at Bruichladdich is fully trained and equipped to talk about their products. As Chloe’s role was education-based she was constantly needing to be ‘in-the-know’ and she believes asking a lot of questions had been the key to her fast and steep learning curve. How did Bruichladdich come about making The Botanist Gin when its focus is whisky? Jim McEwan used to travel a lot, and he noticed that in America gin was starting to become a trend so he proposed we make an Islay Gin using the same principles as the whisky, and keep it local and sustainable. The birth of The Botanist is testimony to the experimental, innovative and brave approach of the Bruichladdich team. The base spirit is made with wheat, so it’s a neutral grain. To that they add 9 core botanicals from around the world (eg Juniper, cassia bark) and on top of that (but not at the same time as distillation) they add 22 botanicals hand-picked from Islay, like apple mint, gorse (smells like coconut in summer) creeping thistle (smells and tastes like honey). “Although we are a whisky distillery, we make gin with the same level of passion, commitment, quality and transparency as we do with the whisky.” says Chloe. What is the one thing you would like Australian Bartenders to remember about Bruichladdich and/or The Botanist? I would like more people to focus on the start of the whisky making process, ie where the product comes from originally. It’s not all about the casks and the end process. Every part of the process is significant in contributing to the profile of both the whisky and gin. There’s a reason we focus on every element of the whisky or gin making process. Barley really does matter. It’s not a marketing story. What are whisky geeks impressed most about Bruichladdich? The fact that we can tell them everything, we’re transparent about everything from the moment it is put into the soil as a seed up until its bottled. It’s the level of honesty that whisky geeks appreciate the most and the fact that Bruichladdich is a highly experimental brand. What do you love most about being a Brand Ambassador for Bruichladdich? It’s a proud moment to talk and showcase your home, ie Islay is a wonderful place. I’ve lived there my whole life and to bring Islay to the rest of the world, the way Bruichladdich do is great and I am thrilled to be a part of. What’s your favourite whisky and why? You get a new favourite whisky every single time you try a new one. I’m drawn to the Islay varieties because I come from Islay, so I have a closer connection to them. This year I have enjoyed Octomore 7.3. One word that describes Bruichladdich? There’s not one single word, but there are 3. Terroir-people-provenance. One word that describes The Botanist? Chloe will be back in Australia later this year, so be sure to check back regularly for updates on upcoming Masterclasses and Whisky tastings. Click here to learn more about the Bruichladdich or The Botanist Gin. 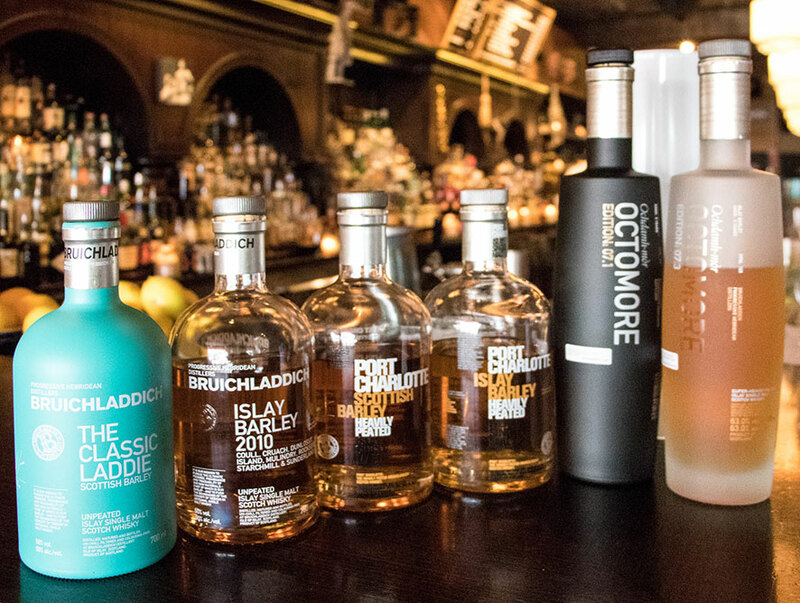 Read about Bruichladdich Certified Retailer Program and Chloe’s visit to The Oak Barrel here.